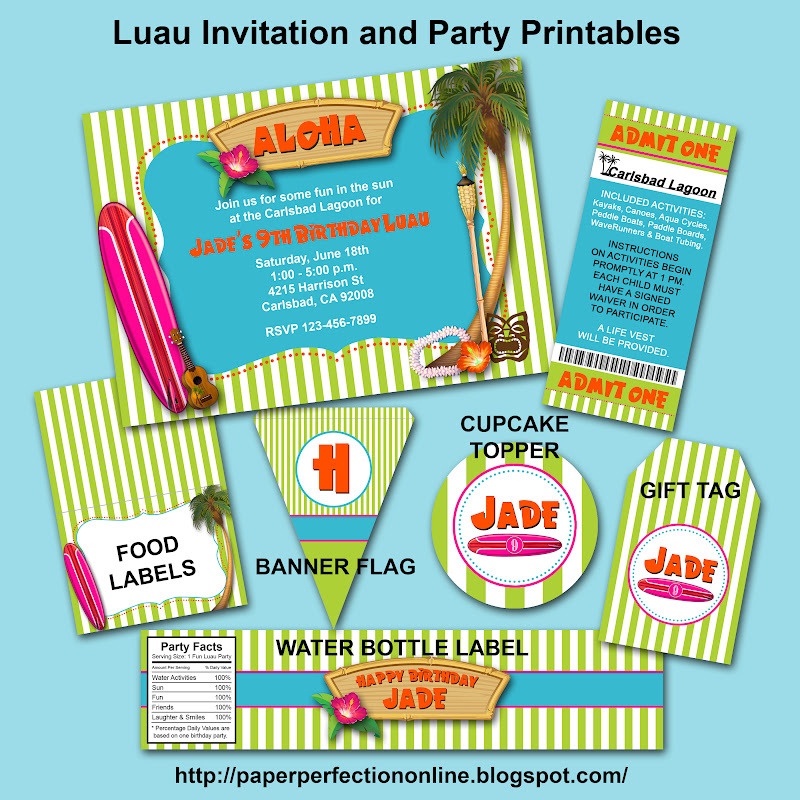 I was recently contacted by a client that used my printables last year for her daughter's birthday party and she wanted a new collection for her daughter's luau birthday this year. I sent her a link to my luau invitations and she picked two designs that she wanted to combine to make the collection below. If you are looking for a luau invitation or need a custom design contact Paper Perfection at jtanddolly@yahoo.com for pricing and details.